Background: Autism Spectrum Disorder (ASD) is a neurodevelopmental condition characterized by differences in communication, behavior, and social development. 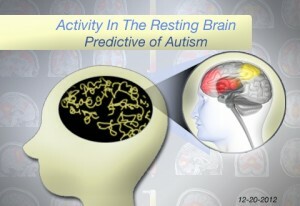 Prior brain-imaging studies have shown pattered differences in the connectivity of brains of people with ASD compared to their typically developing peers. 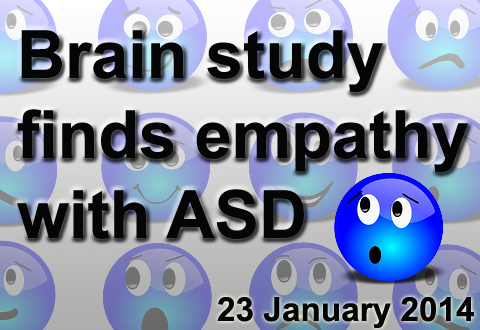 However, little research has compared the brains of ASD with those of people with other neurodevelopmental disorders. 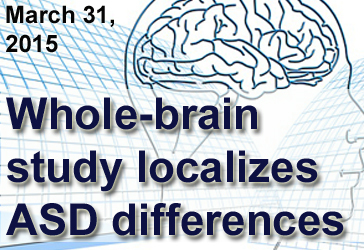 What’s New: A new study compared the connectivity of brains of people with ASD to those of people with attention deficit/hyperactivity disorder (ADHD), seeking commonalities. The researchers leveraged existing brain-imaging data from a total of 1305 people between the ages of 7 and 21 – 284 with ASD, 369 with ADHD, and 652 age-matched controls with typical development. 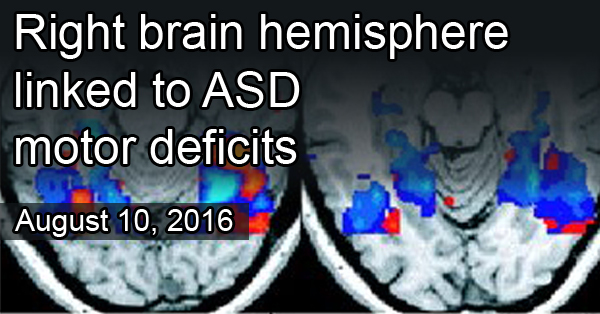 Three main factors were common to the brains of people with ASD and ADHD, but not people with typical development. The three factors were differences in the connectivity of the default mode network (a set of brain regions active when a person is daydreaming), the dorsal attention network (a set of brain regions active when a person is looking into space), and the salience network (a set of brain regions active in identifying important stimuli). These patterns likely comprise a “neural signature” for people with ASD and those with ADHD, reinforcing existing diagnoses made for either disorder. Why it’s important: This study reveals underlying patterns in brain connectivity in both people with ASD and those with ADHD. 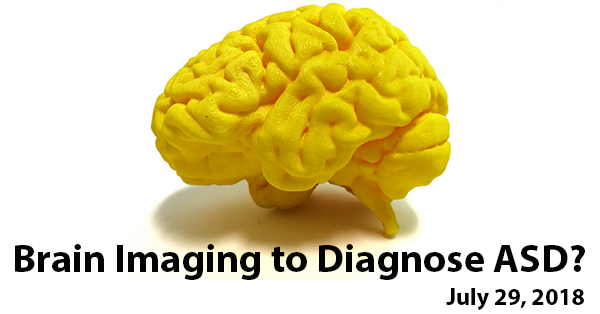 Further research could help define this “neural signature” for clinical application. Image Credit: Nevit Dilmen, NIH 3D Print Exchange, National Institutes of Health. Shared via Flickr under a Creative Commons license. 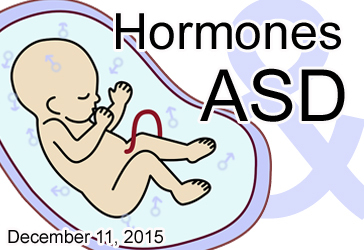 Background: A reliable biomarker for early detection of autism is critical. Electroencephalography (EEG), a technique for recording and mapping electrical activity in the brain – could provide such a measure. During this non-invasive and relatively inexpensive procedure, small metal discs called electrodes are placed on the scalp to detect fluctuations in the voltage given off by the brain’s neurons over time. What’s New: In a new study, researchers assessed whether EEG data could accurately predict emergence of Autism Spectrum Disorder (ASD) in very young children. They performed EEG procedure on 99 high-risk children (defined as having an older sibling with ASD) and 89 age-matched controls up to seven times, beginning when the children were as young as 3 months old and ending when the children were 3 years old. 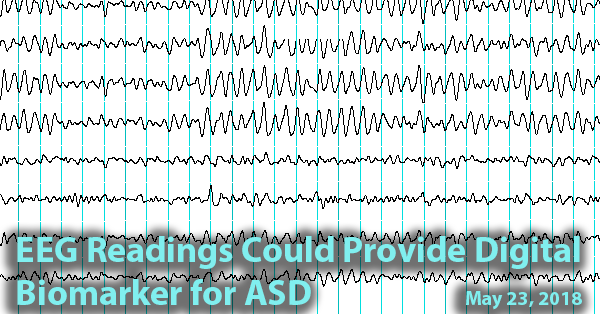 Patterns in EEG data allowed researchers to predict nearly 100 percent of ASD cases prospectively diagnosed using the Autism Diagnostic Observation Schedule (ADOS) at either 18, 24, or 36 months of age. 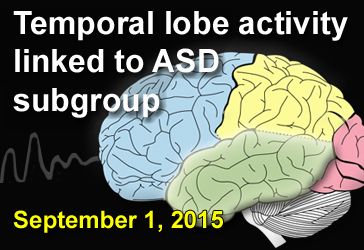 The EEG data also helped predict the severity of ASD as early as 3 months of age. Significant differences were evident between the EEG data of the high-risk versus the low-risk group. These differences were most pronounced at 12 months of age. Why it’s important: This study suggests that EEG could be a useful tool, along with behavioral analyses, for diagnosing ASD early. 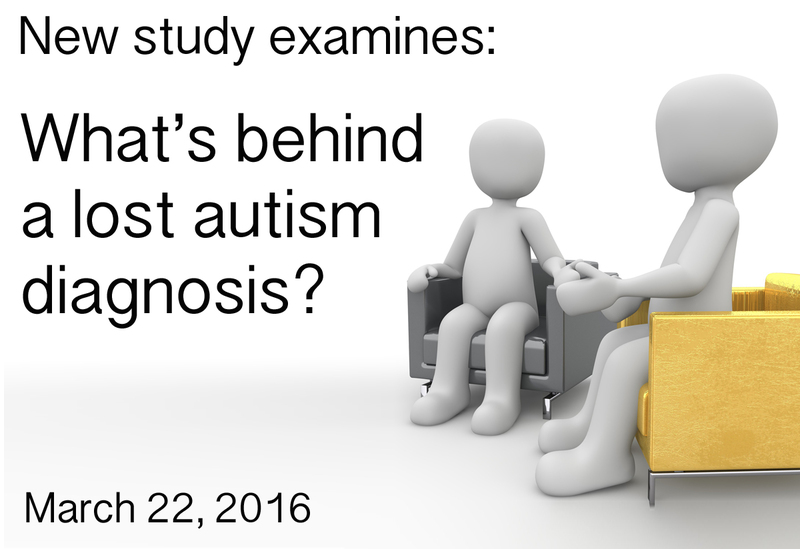 Research has shown that early diagnosis is associated with improved outcomes for children with ASD. Background: In recent years, researchers and clinicians have begun to leverage on brain imaging technology to provide “neurofeedback.” Through this process, they image the brain for aberrant activity and provide positive feedback when desired activity in that area is achieved. That positive feedback can take the form of a green light or another positive signal to participants. 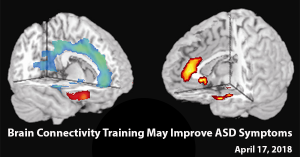 What’s New: A recent study assessed the effectiveness of neurofeedback using functional magnetic resonance imaging, or fMRI, in young adult and adolescent males with ASD. 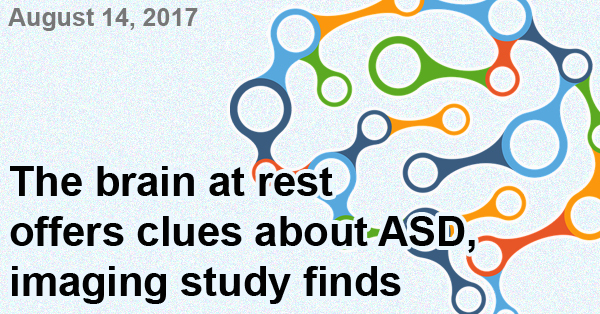 The researchers conducted four training sessions over a period of eight days in 17 males with ASD, between the ages of 15 and 25, alongside 11 age-matched controls with typical development. Each training consisted of a series of “rest scans” with no task for the participant, along with a series of “puzzle tasks,” during which the participants attempted to reveal a hidden picture underneath a blank screen. When the participants exhibited the desired brain activity, positive feedback was given via revealing part of the picture and playing an upbeat sound. 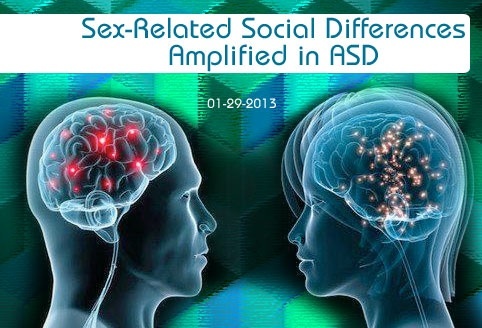 The training resulted in improved connectivity in the whole brain, with the greatest differences observed in connectivity between two regions of interest, which previous research has linked to ASD. These changes were not found in the control group. The improvements in brain connectivity correlated with improvements in the ASD participants’ behavior, as assessed by behavioral questionnaires filled out by parents before and after the series of trainings. Why it’s important: This study provides further evidence of the role of brain connectivity in ASD. It also points to a potentially effective and non-invasive treatment option to address related behavioral issues. Larger studies including other participants (e.g., children and female groups) could further explore this possibility. 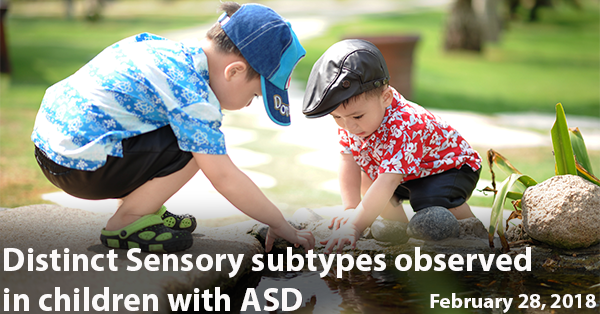 Background: Early diagnosis of Autism Spectrum Disorder (ASD) is a topic of great interest to parents and researchers alike. Studies have repeatedly shown that the earlier a child received intervention for ASD, the more benefits that child will gain related to the behavioral, communicative, and social symptoms of the disorder. However, in the United States – where one in 68 children receives an ASD diagnosis – the average age of diagnosis is 4 years old. 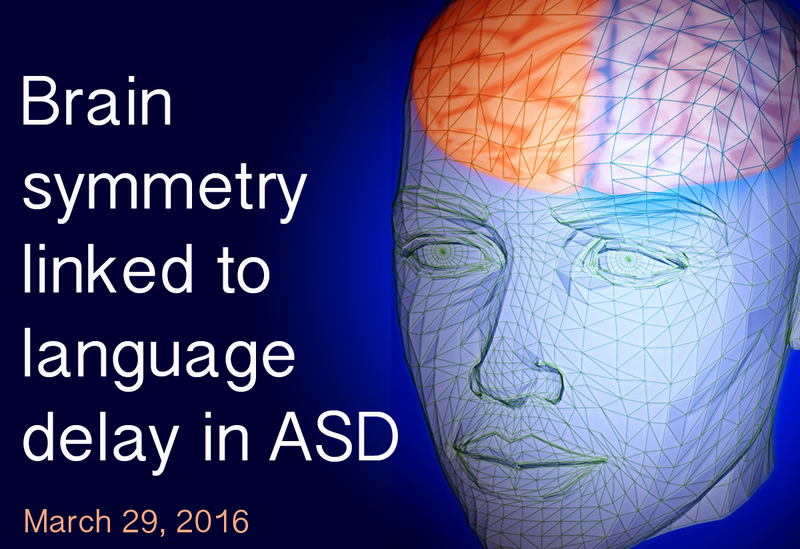 Furthermore, standard practices aren’t yet in place for clinicians to diagnose ASD before 2 years old, when a great deal of the development of language and social skills has already taken place. 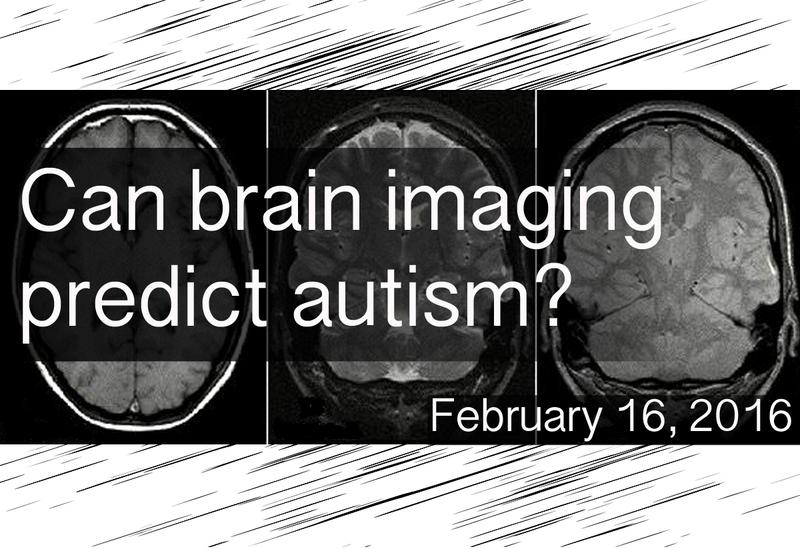 What’s new: On February 16, 2017, the journal Nature published a study outlining a potential measure for predicting ASD diagnosis before symptoms are apparent in young children. The researchers performed brain imaging at three different points in time on a total of 148 infants – 42 of whom defined as low-risk and 106 of whom were defined as high-risk, based on whether or not the infants had older siblings with ASD. Measuring the growth of the brain’s surface area at 6, 12, and 24 months, the researchers noted a trend in accelerated growth (especially in the brain’s cortex, which processes information from the environment) in the infants who were ultimately diagnosed with ASD. The researchers used this information to develop an algorithm that accurately predicted 80 percent of ASD cases in a separate group of infants. Why it’s important: This is the first study to follow the same children from infancy to toddlerhood, tracing risk factors for diagnosis to actual clinical outcomes. Future studies could combine the researchers’ algorithm with other useful predictors (such as genetics and behavior) to improve its accuracy, with the aim of developing an early diagnostic technique. Background: A major goal in autism research is to identify measurable indicators, known as biomarkers, for Autism Spectrum Disorder (ASD) diagnosis. 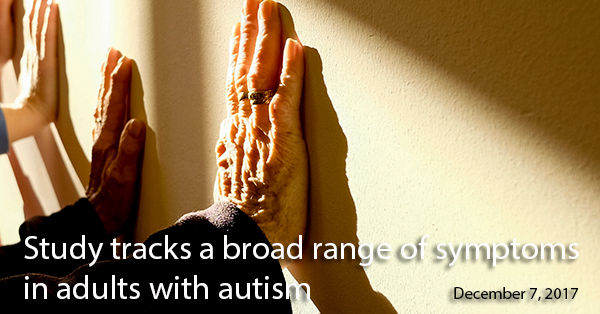 To date, researchers have struggled to find a universal commonality among the brains of individuals with autism. 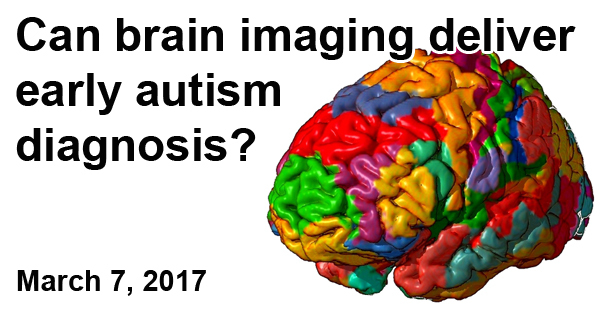 Magnetic Resonance Imaging (MRI), a type of scan that uses magnetic fields and radio waves to create detailed images of organ systems, is a popular technique to study brain structures in a living person and holds much promise for finding an ASD biomarker. Why it’s important: This is the first study to find that autism severity, according to social and communicative behaviors, correlates with the predictive power of MRI. 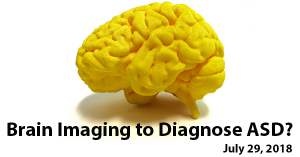 The results suggest that individual behavioral information may help augment MRI findings. The study also highlights the importance of social and language regions of the brain, key age ranges for MRI effectiveness, and the requirement for large numbers of participants in brain imaging studies for autism. Background: Oxytocin is a hormone that is produced in the brain and released into the bloodstream and central nervous system, where it binds to oxytocin receptors on cells. Its role in helping labor contractions was discovered in the early 1900s, but more recently scientists have examined oxytocin’s ability to mediate social behaviors, presumably by modulating activity in the amygdala—a brain area known to be involved in social and emotional information processing. What’s New: In a study published online March 6, 2013, in the journal Biological Psychiatry, researchers tested the effect of intranasal oxytocin supplementation on brain activity in response to social stimuli. 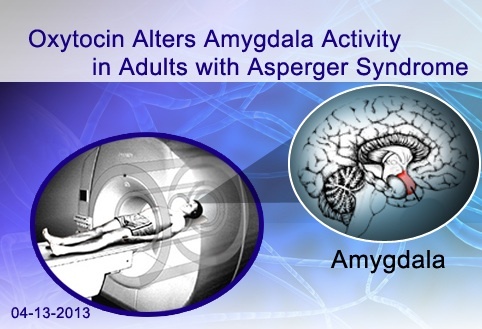 The researchers administered either oxytocin or placebo, in a double-blinded manner, to 14 adult male volunteers with Asperger syndrome (AS) and 14 neurotypical control participants. They then measured amygdala activity using functional magnetic resonance imaging (fMRI) while the participants viewed images of houses and faces. Oxytocin supplementation significantly increased amygdala activity in response to faces, as compared to houses, in AS participants but not in controls. The placebo did not cause the same effect. Why it’s Important: Ongoing clinical trials are testing if therapeutic oxytocin can alleviate social cognition difficulties in children and young adults with autism spectrum disorder (ASD). This is the first study to show an oxytocin-induced increase in amygdala activity during facial processing in individuals with Asperger syndrome.